San Diego State (15-4-1, MW regular season champions) mysteriously did not hear their name called when the NCAA Selection Show revealed the Western Region. The Aztecs lost the Mountain West’s automatic bid when they came up short in the MWC championship game on Saturday to San José State. On the positive side, both of San Diego’s Division II programs (that are eligible for post season play) made the playoff bracket. Unlike on the Division I level that has a full 64 team bracket, the Division II bracket is only 48 teams. With the abbreviated field, it means that some teams will get byes into the second round. Those byes are reserved for the top two seeds in each “pod”. The Western pod comprises of the top seed Western Washington (18-1-1, Great Northwest Athletic Conference (GNAC) regular and tournament champions) are also the number two seed overall in the tournament. The other bye goes to Azusa Pacific (15-2, tied for the Pacific West Conference championship). Both the Vikings of Western Washington and the Cougars of Azusa Pacific will host their group of three. Going to Bellingham, Washington will be the Tritons of UC San Diego (15-5-1, the California Collegiate Athletic Association (CCAA) tournament champions) will face the GNAC runner’s up Seattle Pacific (12-4-2) on Thursday at 7:00 p.m. The Tritons did not face a single GNAC team in the regular season. This is both Seattle Pacific and UC San Diego’s 13th trip to the NCAA tournament. UCSD’s last trip to the tournament saw them capture the Western Region title just three years ago. Seattle Pacific has been in the tournament now 13 straight years. All-time the Falcons are 16-10-3 in NCAA postseason games. The winner of the UCSD and Seattle Pacific contest will face Western Washington at 1:00 p.m. on Saturday. Closer to San Diego, Sonoma State (21-3, Regular season CCAA champions) are the three seed and will be the “home” team on Thursday at 7:30 p.m. when they face Point Loma at Azusa Pacific. The winner of the match will face Azusa Pacific on Saturday at 2:00 p.m.
Point Loma (14-4, PacWest Conference champions (tie-breaker was used)) is coming into the contest as the second hottest team in the PacWest (Azusa has won 10 straight compared to PL’s six straight). The Sea Lions have gone to the Division II tournament in both of the years they have been eligible to participate. 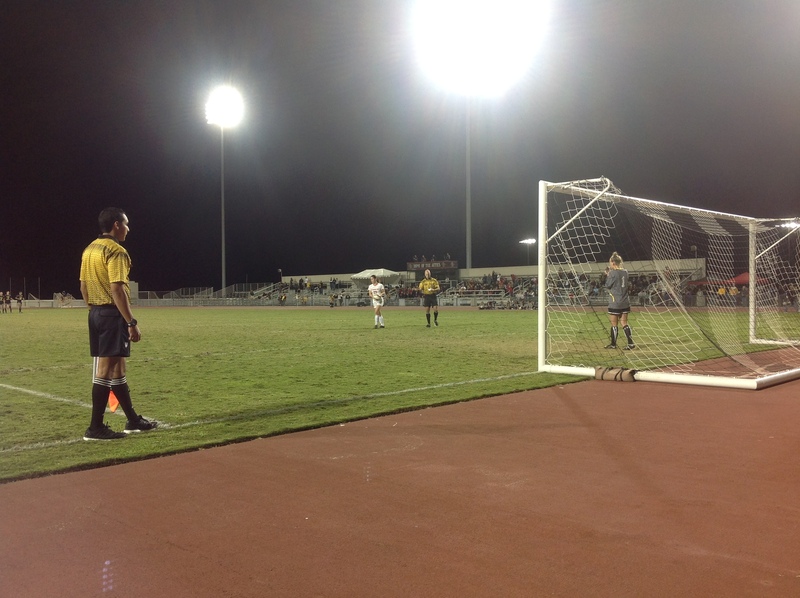 The Seawolves and Sea Lions faced each other here in San Diego back in September in the second weekend of the season. SSU won that matchup 1-0, however looking at the statistics Point Loma won on the stat sheet (PL outshot SSU 11-7 (4-3 PL in shots on goal) and 3-1 in corners). After watching the game, the winning goal was controversial as a Seawolf player was literally hand fighting with Arial Oriarte in the box not allowing her to make the save. As far as the season stats are concerned, both SSU and PL are very similar. Both teams have seven players with multiple goals, the both have a +15 goal differential and both keepers have more than 10 shutouts on the season.